Marie-Cécile Zinsou is behind the Fondation Zinsou in Benin, which was set up in 2005 to collect and safeguard contemporary African art. 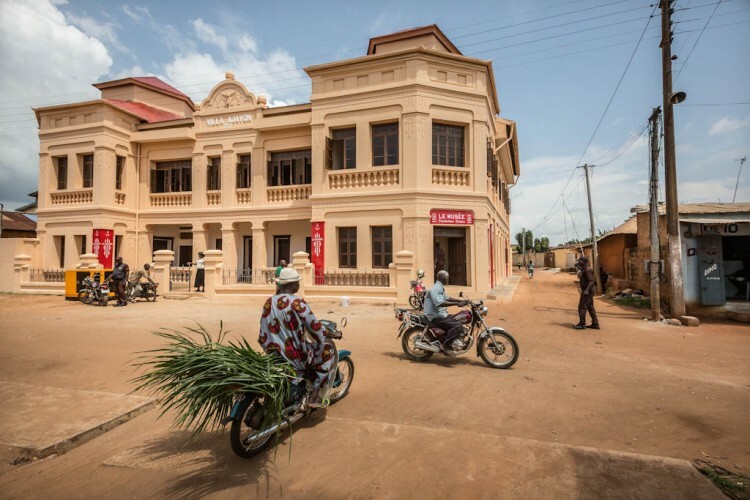 The foundation opened a museum in Ouidah in 2013. Since then, the foundation has welcomed 4.8 millions visitors, about 80 per cent of which are under the age of 20. The foundation’s purpose is to showcase African contemporary art on African soil and it also runs two mini-libraries in Cotonou. You come from an illustrious political family but you’ve gone down another route with Fondation Zinsou. Was this a conscious decision? Yes, it is a conscious decision. My grandfather created the first free press in Colonial Dahomey. My great uncle was a president and also a doctor who gave free consultations to patients. My father is just getting into politics now that he’s finished with his professional life and he feels he needs to give back to Africa. You have a duty towards your country. I guess I have a sense of duty; I think that’s a feeling you have when you come from a political family. You have a duty towards your country. After having an experience of working with children in an orphanage for two years, I felt that I had to do something and thought my part could be related to education. That’s how we started the museum and the libraries. What is Fondation Zinsou about? The Fondation Zinsou was created to make a space for dialogue between artists and the public. I was working with children and I wanted them to find out about their culture and try to give them an idea of the time we’re living in. We wanted to have something to be proud of as a future history. Of course, art is the best way to do that. In the end, we thought we couldn’t just focus on contemporary art and so have been working on heritage projects and the heritage building that hosts the museum. That was very important because it’s a house that free slaves coming back from Brazil built in an Afro-Brazilian style in West Africa. We then had to put contemporary art there because Ouidah is where about one million people left during slavery. We wanted to have something to be proud of as a future history, to show what is the future and not stay in the past. What can we do with our history, where do we come from and try to answer the question where are we going. Software engineer Pierrick Chabi is my African of the year. He’s making a difference in education with his app Wakatoon and has created a very innovative way of engaging children with books. His work on the app Wakpon means our museum is interactive and can happen everywhere.